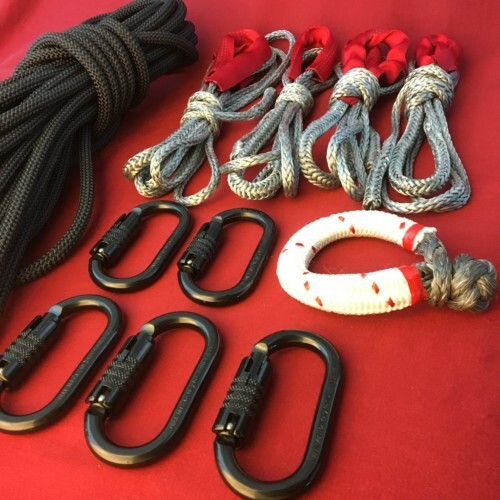 In the Alpine where weight and strength is a concern, the Alpine Pro BFK anchor kit provides all the strength in a compact lightweight package. 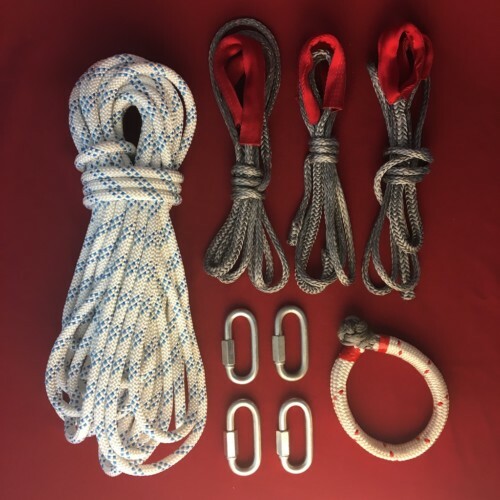 At 40g/m, the 20m of 8mm Anchor Pro, originally designed for the challenges of the sandstone canyons of Utah features 100% Dyneema core covered with a durable cabled, solution dyed polyester sheath providing the strength and durability needed for highlining in a light weight rope. 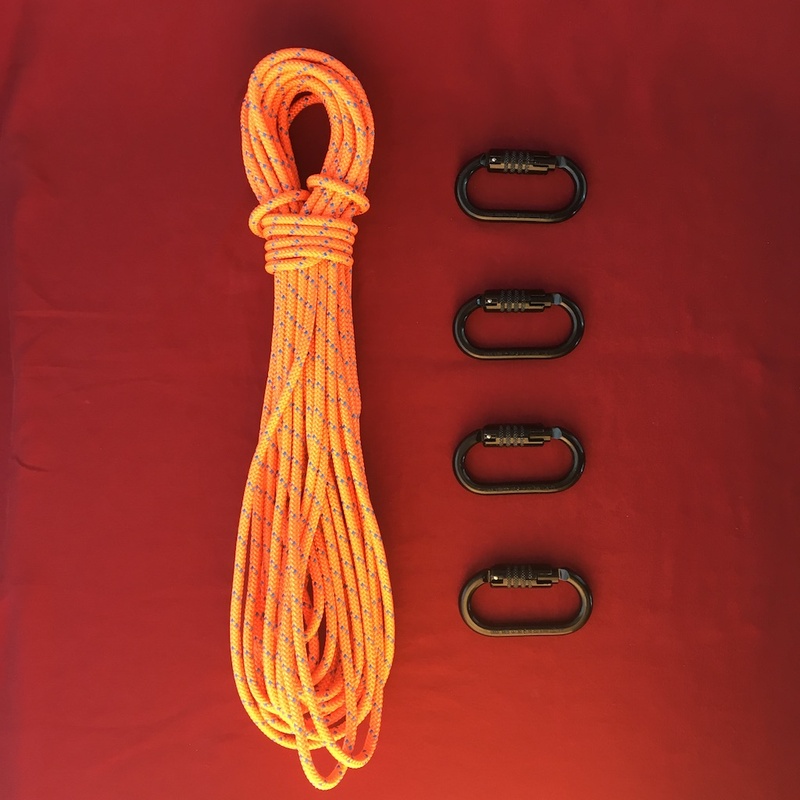 The 4 CARB Steel Triple Auto-Locking Carabiners are easy to use, hard to miss use and rated for 30kN, putting them a step above quicklinks. 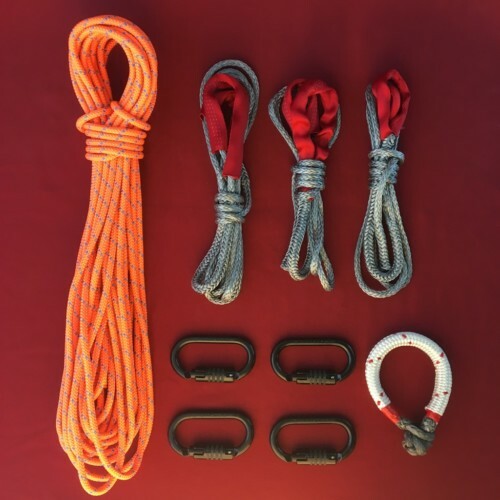 Lightweight, compact and extremely strong, the Alpine Pro BFK is a simple anchor kit designed to be hiked into the most remote locations. 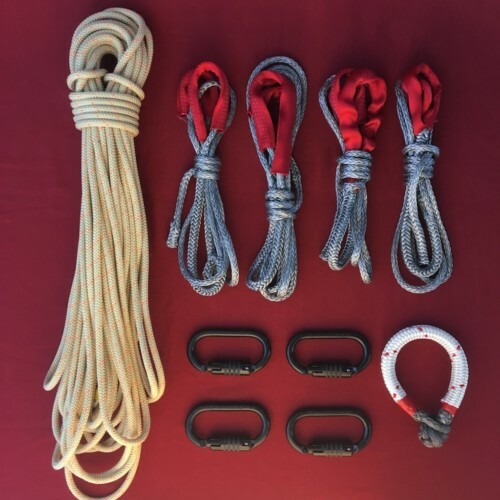 The Bluewater Canyon Pro was originally designed for the rigors of Southern Utah’s notorious sandstone canyons, this rope has become a crossover specialty for many critical industrial and military applications. 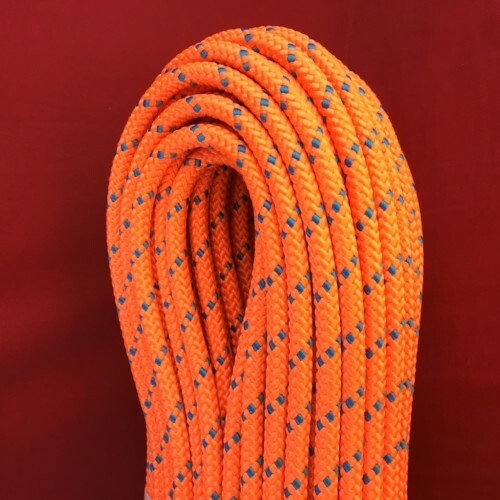 A 100% Dyneema core covered with a durable cabled, solution dyed polyester sheath makes provides the strength and durability needed for highlining. 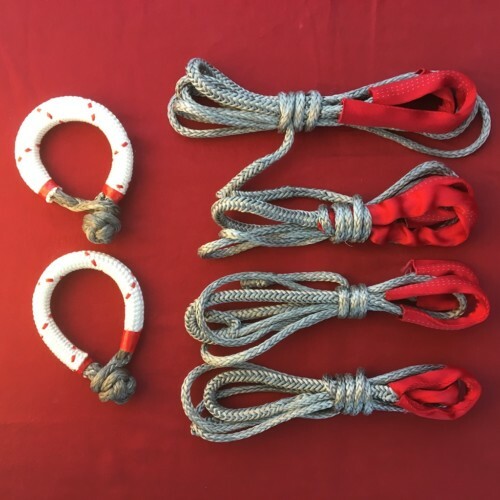 Small diameter, lightweight, and high strength! 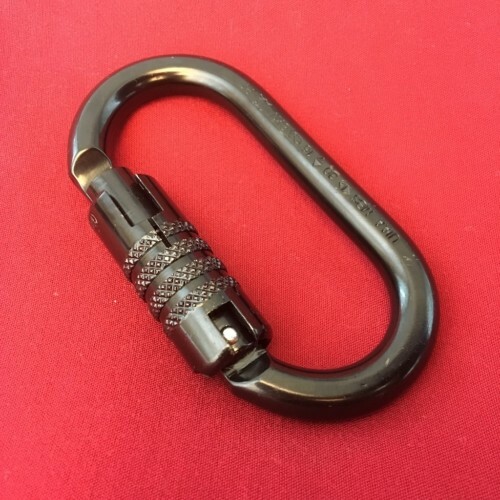 The Autolocking carabiner is significantly more easy to use, have a higher breaking strength and are more versatile than quicklinks. For the weight, if you are carrying anything into the alpine, it might as well be a multi-functional bomber carabiner.